Keep wi-fi connection while asleep? Right now my MacBook Pro is set to go to sleep after 1 hour and then when I wake it back up, I have to wait for it to find/connect to Wi-Fi again. How can I maintain the Wi-Fi connection so when I wake the computer, it's already connected? I'm running OS X 10.9.1 on a Retina MacBook Pro. If your Mac enters its full sleep state, then your network connections will be disconnected. Your Mac can not be connected to a WiFi network and be asleep at the same time. You can avoid full sleep by setting your Computer Sleep to Never. Your MacBook will then sleep all the sub-systems possible when idle, but will remain awake enough to maintain a WiFi network connection. PowerNap is not the same as full sleep. This is a special state controlled by Apple and, for now, available only to Apple's chosen processes. Wake for Network Access? If your mac is asleep it can still be accessed via Wi-Fi, and woken up. Power Nap wakes up and connects to services and then disconnects, going into Bonjour Sleep Proxy mode for being woken up again via Wi-Fi. Not the answer you're looking for? Browse other questions tagged macos macbook mavericks wifi sleep-wake . 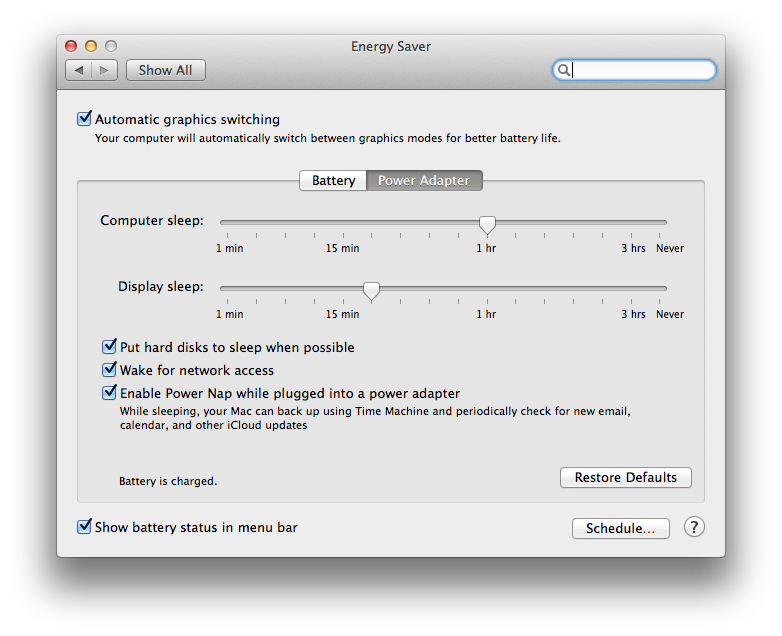 Mac does not sleep automatically in Lion! Energy saver 101 : sleeps after or when battery is at x hours? How can I stop AirPort from waking my Macbook Pro?